New Haven, CT/ Monson, MA- Denise M. (Sanders) Aksoy, 45, died suddenly January 30, 2019. Denise was born September 20, 1973 in Springfield, MA to Robert W. and Judith A. (Hutchinson) Sanders. Denise grew up in Monson and was a graduate of Cathedral High School in Springfield. She continued her education and received a Bachelor of Arts from Southern Connecticut State University and an Associates of Applied Science in Paramedicine. Denise had an amazing thirst for life, for rescuing animals and for helping others. She was passionate about being a Paramedic and was employed with Hunters Ambulance in Meriden, CT for 13 years. 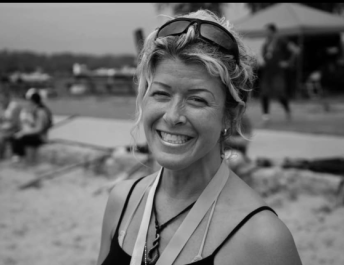 She was always expanding her education and received degrees in International Paramedicine, as well as certification as an Accredited Flight Paramedic, Marine Paramedic, and Organ Transplant Coordinator. After experiencing the personal loss of her unborn children, Lucy and Anna, she spent many hours as a grief counselor at Hope After Loss. Denise enjoyed hiking, camping, scuba diving, and paddle boarding. She would often relax through writing and photographing nature. Denise leaves her husband, Turker S. Aksoy; stepchildren, Tess and Tyson Aksoy; her parents, Robert and Judith Sanders of Monson; a brother, Brian Sanders and his wife Montinee of San Diego, CA; a sister, Debra McAleavey and her husband James of Trumbull, CT; nieces and nephews; Kaleigh, William and Cian Sanders, Patrick and Caroline McAleavey; Godparents Mary Ann Brazas of Monson and Walter Sanders of Sterling, MA, as well as many loving aunts, uncles, cousins and friends. Funeral services are private and have been entrusted to Lombard Funeral Home of Monson, MA. In lieu of flowers, memorial contributions may be made to Hope After Loss, 900 Chapel St., 10th Fl, New Haven, CT, 06510 www.hopeafterloss.org. Hope After Loss helps those who experience pregnancy and/or infant loss by providing connections, comfort and care. Donations may also be made to Animals for Life, P.O. Box 1481, Naugatuck, CT 06770 https://animalsforlife.org dedicated to the rescue, placement and care of animals in need.